Hungary's Tompa "transit zone", seen here in April 2017, is implicated in potentially illegal detentions. Geneva - A group of United Nations human rights experts said yesterday they had suspended a trip to Hungary after the government denied them access to sites where migrants are being held. The UN Working Group on Arbitrary Detentions had been invited by Budapest to visit the country this week. 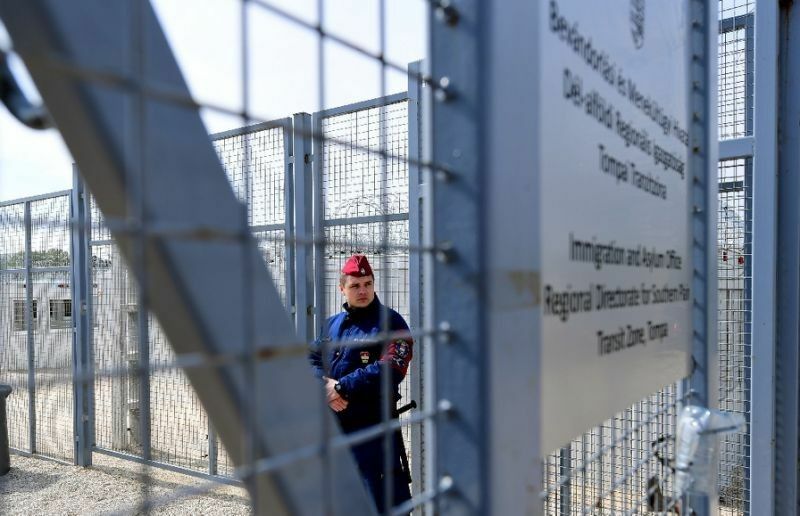 Committee member Setondji Roland Adjovi told AFP in an email that Hungary was aware the experts intended to visit the Roszke and Tompa "transit zones", two sites implicated in potentially illegal detentions. Hungary was "fully on notice, through various means before and during the visit, that the Working Group considers (the two sites) as places of deprivation of liberty," he added. Adjovi said the committee habitually carries out both announced and unannounced visits during country missions. Hungarian authorities were not informed about the timing of the visits to Roszke and Tompa, he added. "The Working Group showed up at those two locations simultaneously (on Wednesday) and was not allowed to enter," he said. The experts then told the government they would not continue the mission. "Unimpeded access to all places of deprivation of liberty including these transit zones must be guaranteed to independent international, regional and national organisations," the experts said in a statement. The terms of reference for visits by the group require states to guarantee freedom of inquiry, especially concerning "confidential and unsupervised contacts with persons deprived of their liberty," the statement said. The group said it "hoped that the Government of Hungary would enter into a constructive dialogue to enable the delegates (to) resume their visit in the near future." Hungary under anti-migrant Prime Minister Viktor Orban has had an increasingly tense relationship with UN human rights bodies. In a September speech at the UN Human Rights Council, Hungary's Foreign Minister Peter Szijjarto accused "pro-migration" UN officials of "spreading lies" about the country. Former UN rights chief Zeid Ra'ad Al Hussein in May accused Orban of being a "racist."